ESP8266 accepts 0 to 1V as ADC input so we are connecting LM35 Temperature sensor it gives 10mV Per degree centigrade so we don't have to worry about calibration. 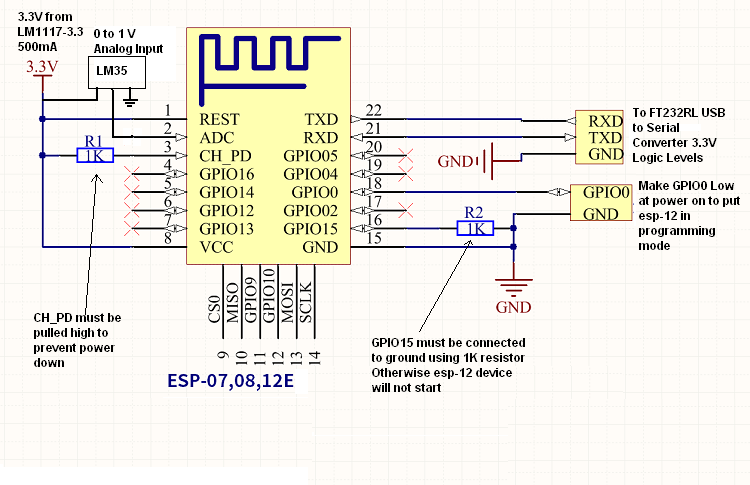 ESP8266 WiFi Module contains only one ADC Channel A0. Programming of ADC is same as Arduino. snprintf ( temp, 400, This is used to combine temperature reading and web page. 2. Enter IP:192.168.4.1 in browser.